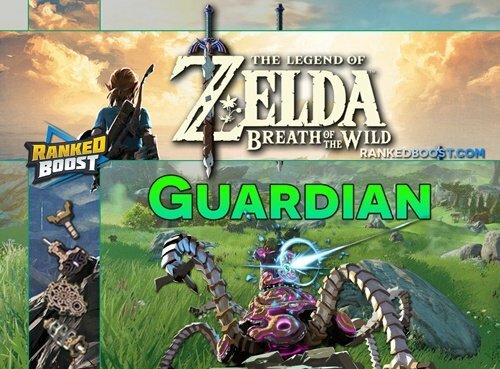 Welcome to our Zelda Breath of the Wild Guardian Guide, We have listed everything from the types, locations, Item Drops and even their HP. If that wasn’t enough we have also included a short walkthrough on how to best handle these difficult monsters. 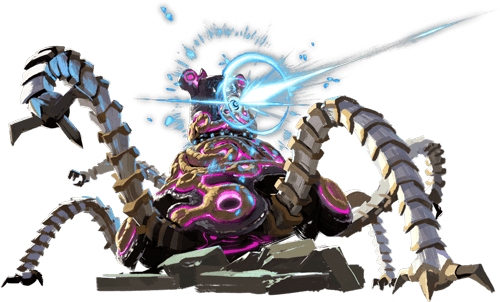 In Zelda Breath of the Wild Guardians are Mini-Bosses Monsters known to drop Ancient Materials such as Ancient Springs, Ancient Gears and more. They come in two group types “Guardian Vehicles” and the more interesting “Guardian Scouts“. These Guardian Scouts can be found in various shrine around the entire game. Since these monsters are a bit more difficult then the Vehicle Versions you should see below for help taking down these mini-bosses. How Do I Beat Guardian In Zelda Breath of the Wild? First thing before we get into how to handle these monsters, we should discuss what you need and should take full advantage of before fighting theses guys. Ancient Proficiency: You can further Increase the Damage you deal with Ancient Items from Armor Set Bonus “Ancient Proficiency”. This Armor Set has what is known as (Guardian Resistance) which will reduce damage taken from these monster types. You Can Start The Quest To Unlock the Akkala Tech Lab and the Hateno Tech Lab at these locations. 20 Ancient Gears, 5 Ancient Springs, 3 Ancient Cores, 2,000 Rupees. The number strategy here is using your shield to deflect the laser they shot. This can be done easily once you get the timing down and will make taken down these monsters very easy. Just before the Beam Hits, You Press the A Button with your Shield and it will deflect the beam back. Dealing a lot of damage to the enemy and saving both time and durability of your items. These versions are more aggressive and in turn a bit more difficult to the vehicle counterparts. For the most part, your main focus will be on there Spinning Attack and how to best handle it. When they begin spinning towards you should use Cryonis, and quickly raise a pillar between you and the scout’s attack. You can also use Magnesis if an object is available to be moved into place.